This course has been designed for individuals who are already working as Multi-Skilled Engineers, as well as those seeking employment in the Engineering sector. BTEC HNC qualifications are well-recognised and sought-after, both in academia and in industry. A Higher National Certificate is the first level of Higher Education (Level 4). Completion of this course will allow for progression on to a Higher National Diploma (Level 5) and potentially a Full Degree programme. In addition, completion of a General Engineering HNC provides evidence that you have developed the fundamental knowledge and skills that would be required to perform the key duties of a Multi-skilled Engineer in industry. Our General Engineering HNC programme is available with full Online Delivery and Assessment. This is a Distance Learning programme, but not in the traditional sense. Our resources consist of Bite-size instructional videos and interactive practice questions. In addition, all of our Assessments can be completed and assessed entirely Online. Studying by Distance Learning can be a challenge. Completing an HNC with us will be a real testament to your personal motivation, organisational skills, perseverance and persistence. These are additional personality traits and transferable skills that are highly desired in the Engineering sector. 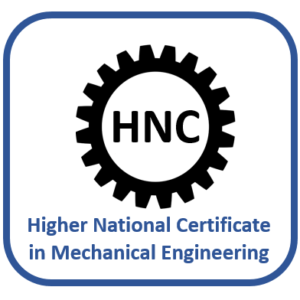 A BTEC HNC in General Engineering is an 8-unit qualification, consisting of both mandatory units and specialist units. To view the awarding body programme specification, please click on the BTEC Edexcel image. 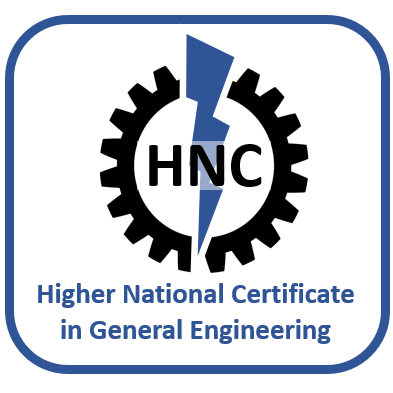 Although the Awarding Body for our General Engineering HNC does not specify formal entry requirements, it is the responsibility of centres delivering the qualifications to ensure that students have a reasonable likelihood of success on the programme. Individuals from a range of different backgrounds express an interest in General Engineering programmes. Some have academic qualifications, but no formal experience, whilst others have worked in Engineering for many years, but have not completed relevant academic qualifications. Secondly, studying via Distance Learning (particularly Online) can differ greatly from traditional study. For these reasons, we ask that all applicants complete relevant Bridging Courses prior to enrolment. Our Bridging Courses are designed to enable the development of analytical, problem-solving skills that are required when studying Higher Education programmes in Engineering. Participation and completion of these Bridging Courses will provide some assurance that students enrolling on to our HNC courses will be willing and capable of engaging with their course materials and our Study Platform. Upon completion of each course you will receive a certificate. 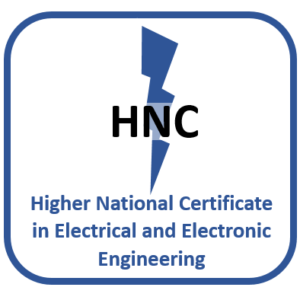 Achieving a certificate in each of the Bridging Courses above will entitle you to enrol on to our General Engineering HNC Programme.